Black cardamom (Badi Elaichi) is a spice, herb with strong aromatic fragrances. It is widely used in cooking for its unique taste and powerful flavor. The largest producer of the black cardamom is Nepal, followed by India and Bhutan. Buy(order) Black cardamom(badi elaichi) online at whole sale price from KiranaPlace, a online spice and seasoning shop. Black cardamom(badi elaichi) is 4 to 6 times the size of the common small cardamom. Black cardamom seed pods have a strong camphor-like flavor, with a smoky character derived from the method of drying. 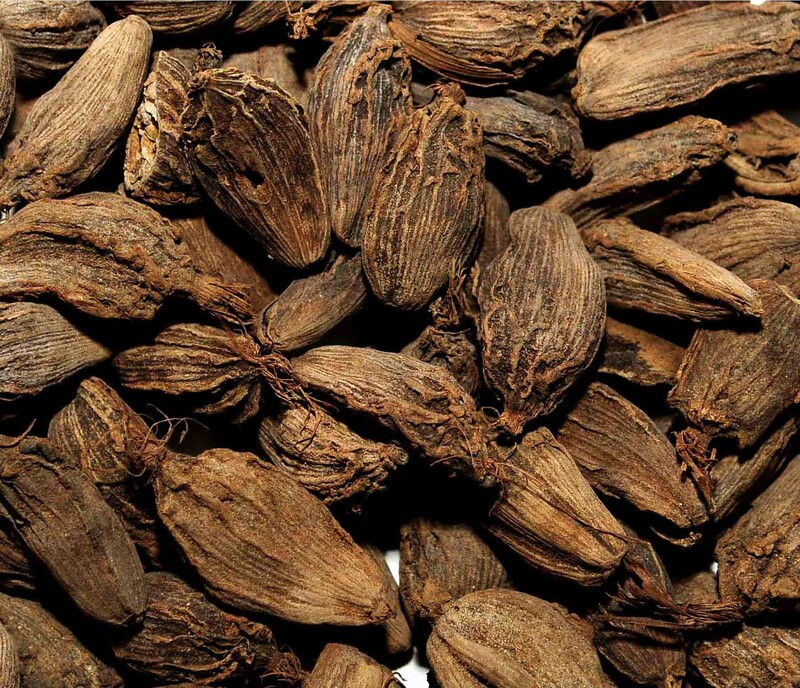 The largest producer of the black cardamom is Nepal, followed by India and Bhutan. Its pods are used as a spice, in a similar manner to the green Indian cardamom pods, but with a different flavor. There are two types green cardamom and black cardamom, both forms of cardamom are used as flavorings and cooking spices in both food and drink, and as a medicine. Its flavour, aroma and other qualities are quite different from small cardamom. Black Cardamom help in gastrointestinal Problem. Black Cardamom help to maintains cardiovascular health. Black Cardamom can help increase your appetite. Black Cardamom help in detoxifying your body. Black Cardamom seed also possesses antispasmodic properties. Black Cardamom immediately helps relieve mental strain and emotional stress. Black Cardamom help to keep your renal system functioning well.